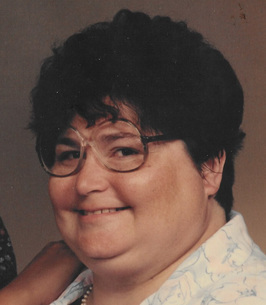 Sharon England, age 63, of Joplin, Mo., passed away on December 19, 2018, at her home, surrounded by her family, following a long illness. Sharon was born on March 15, 1955, in Alvarado, Tx. She has lived most of her adult life in Joplin. She graduated in 1973 from Parkwood High School. She worked as a sales associate for Sears for several years. She also worked for Mason-Woodard Mortuary in the mid 90’s. She was a member of College View Baptist Church. Sharon loved doing art work, she painted and did ink and chalk drawings. She also crocheted. She served as the president of the Activities Board at National Healthcare. She had a great sense of humor and loved to laugh. She adored her daughter and two grandchildren. Sharon is survived by her daughter, Letisha Bever and husband Shawn, Joplin; two grandchildren, Logan and Jesalin Bever; her mother, Mary England, Joplin; two sisters, Cathy England and Lorena England, both of Joplin; two brothers, Norman England and wife Christine, Koshkonog, Mo., and Johnnie England and wife Denise, Joplin; and two niece,s Aubrie England and Melissa Callahan; and one nephew, Craig England. Graveside services will be held at 10:00 a.m. Saturday at Ozark Memorial Park Cemetery. Pastor Jerry Segel will officiate. The family will receive friends at a time of visitation 6-7:00 p.m. Friday at Mason-Woodard Chapel.